Kate and Rose, Rose and Kate, friends forever or “rural rivals”? Or neither because this is all a bunch of nonsense? 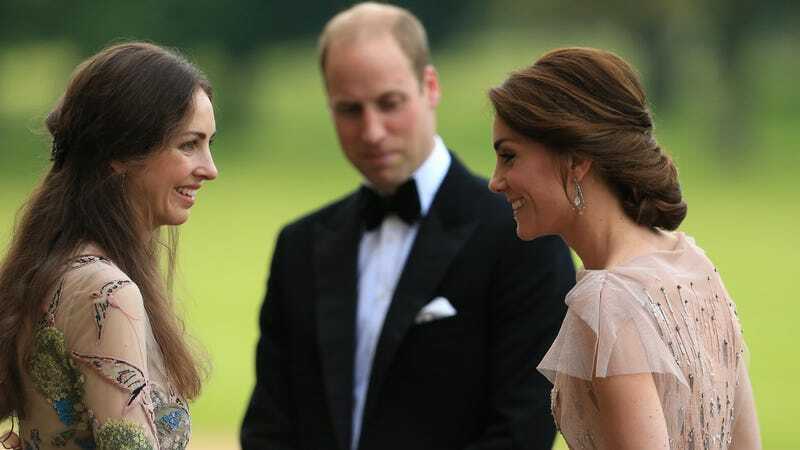 The Daily Mail says that Will and Kate have considered legal action over newspaper reports suggesting that she has had a falling out with someone named Rose Hanbury, Marchioness of Cholmondeley—another member of their rural “turnip toff” circle in Norfolk. Finally, we’re getting the good stuff! Feuds blossoming like tulips, as far as the eye can see! The turnip toffs are being ROCKED! Not that this is surprising news, because I’ve read enough Regency romance novels to believe firmly that there’s only one thing happening in those aristocratic country houses, and that’s massive interpersonal drama at all hours of the day and night. Perhaps there’s something more nefarious afoot! “In fact, gossip started doing the rounds at smart dinner parties late last year. Quite why is still a mystery, but there have been some malevolent undertones to it,” Kay continued. “There has been talk that the rumours were got up to damage Kate. So what is going on?” Again: Drama! Because aristocrats have nothing better to do, bless their hearts! And the tabs are gonna tab. Clearly the real story here is that royal feuds make incredible copy, but Meghan has dipped out for maternity leave. So—whatever the truth of the matter—the British media is down a cast member and the Marchioness of Cholmondeley has been cast for a multi-episode cameo in the meantime.